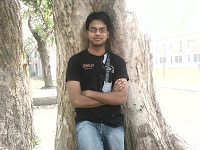 I am Shashank Agarwal ,a tech blogger, hacker and a computer engineering student from India.Due to my passion for computers and technology i turned into a tech freak, doing new thing with my PC and discovering new stuff. Finally made this blog and others to share my knowledge with the world. I am a professional blogger and owner of a few successful blogs. Due to my divergence towards hacking Google Adsense were banned on one of my blog. I blog about almost everthing including Tech, web 2.0, celeb gossip, wallpapers, politics etc. After much consideration i cam to conclusion that it was time to launch a .com name of mine and make a full-fledged wesite. Shankee is a result of my experience in blogging and i would utilize all that i have learned so far over the time about blogging techniques. Shankee is a blog about everything from a blogger expert in most of stuff people would read about includint tech, celeb, religion, financial data, security and much more. Shankee.com was finally released on 15th May 2009. We are always looking forwars to your suggestiond and solving your queries. Please feel free to tell us about anyhting you would love to share. Enjoy college life – stay safe and drug-free! I m Manu your Brother. Commenting from my frnd ID Abhineet. I have read your latest blogs its really miraculous adn outstanding. I Pray for your bright future in Tech. kuch hme bhi sikha do..